If a major filling or restoration is required, but a full crown is not necessary, an excellent way to restore the tooth and conserve the natural structure is a dental inlay or onlay. Similar in function to fillings, but strong and long-lasting like crowns, inlays and onlays are like perfectly shaped puzzle pieces that help restore the strength of your tooth. If a major filling or restoration is required, but a full crown is not necessary, an excellent way to restore the tooth and conserve the natural structure is a dental inlay or onlay. Similar in function to fillings, but strong and long-lasting like crowns, inlays and onlays are like perfectly shaped puzzle pieces that help restore the strength of your tooth. Rather than a full crown, inlays or onlays might be considered partial crowns. The difference between the two options is minimal. When you run you tongue over the tops of your teeth you can feel a series of small bumps. These bumps are called cusps. Inlays fit between the cusps of a single tooth, while onlays stretch comfortably across your cusps. Both are useful in different applications, but either one is preferable to a traditional crown because they do not alter your natural tooth structure to the same degree as a crown. Based on your unique situation, inlays or onlays may not be the best option. 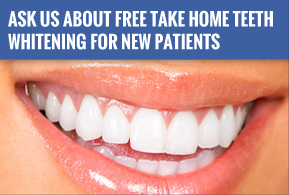 Therefore, before we undertake any procedure, Frankel Dentistry will perform a thorough assessment of your dental situation and let you know what option will work best meet your needs. If you are a good candidate for an inlay or an onlay, we will begin by removing whatever decay is present on the tooth we will be treating as well as any remains of an old filling. Next we will carefully clean the tooth. An impression will then be made. 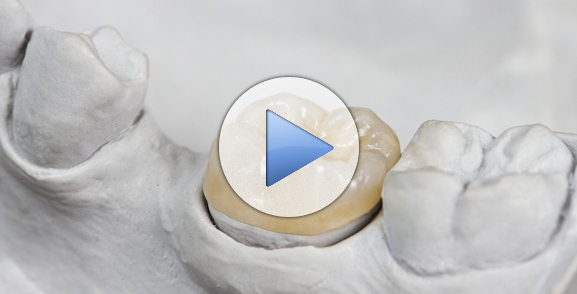 This impression will allow us to utilize our state of the art CEREC machine to create a custom, tooth-colored inlay or onlay. This process will take about an hour. Once the inlay or onlay is completed, we will polish it and modify it, allowing it to fit in naturally with your current bite, and your smile is repaired.